Building a mobile application is not an extremely hard job. This is true for the technology savvy and for those who already have a programming background. The fact is that there has been ginormous leap in the sheer number of mobile devices available in the market. But that isn’t the only factor that has increased because there has also been an increase in the number of methods for creating Apps. Thus, it can get quite confusing for a newbie as to which approach or framework to adopt. Besides which, even an experienced mobile app developer in India and across the globe may what the rethink their development methods. 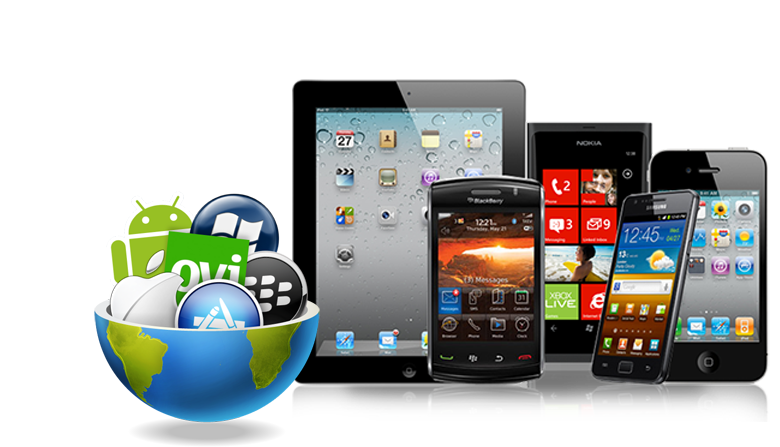 App Development it used to be like exclusively using the libraries and development environment made available by Google and Apple. But this is not the case anymore since there are lot many more tools and frameworks available; thus increasing the options. Thus here are a few new tools, frameworks approaches to aid you in the process of App development. Mobiles Apps that provide daily and comprehensive solutions are already popular like, Nike+ Running which is a good fitness tracker and Sky+ for the set top box. Write a short description of your App to be made. Check if a similar App already exists in the App Store. Compare your application to be built with any existing ones to check which is better and the number of features provided. Is your new App suited for using on the palm (mobile)? Is the App exclusively an online experience or is it available offline as well. Start basic planning for App development. It may be a good idea to use professional tools like Flinto.com or Proto.io for the prototype. Every App needs to be treated differently since different elements apply to different Apps. However in the broader sense there are two popular ways to build a Mobile App. They can be either Native or Hybrid and mainly depends on the way in which the code is executed on the mobile device. Native applications will run directly on the device that you are developing for. For example when designing for iOS, it’s ARM based machine code. For Android on the other hand it is Dalvik VM byte code at the moment. (Soon to be replaced by ‘ART’). The advantage being that it can make the most of the processor performance making sure your App has smooth animations and transitions. Hybrid applications on the other hand are executed with a wrapper applications that runs on the device and hence have limitations. IOS Apps are usually built using the Xcode development interface and Objective C is the programming language used. There also happens to be extensive documentation and tutorials on Xcode Development. An Android App on the other hand it requires the Java IDE as well as the Android SDK. The Eclipse IDE along with the Android Development Toolkit is a very popular tool that even Google recommends. However a new tool by the name Android Studio has emerged recently which has been termed as the ‘Official Android IDE’. SS Toolkit is a utility toolkit which makes the complicated iOS classes simple to use. In addition to which it also makes use of other useful libraries. Classy is essentially a style sheet system used for styling iOS components. AF Networking is a popular networking library as the name suggests which has a very simple interface. Coco2d is a games development framework (open source one) for both 2D and 3D. Magical Record is the implementation of the Active Record pattern for iOS. There are several frameworks and libraries available for the Android device as well like Active Android, Dagger, etc. However in spite of all the tools and numerous tutorials available on the Internet, if you are a novice or program for non-mobile platforms, then the learning method for following this method of development is pretty steep. Xamarin is one of the more popular C# based development frameworks. This complies the code directly into a native binary (thus is not executed inside a wrapper). The main advantage of using this framework being that the performance of the applications is up to the mark and at the same time one source base can be maintained for both iOS and Android. This makes Xamarin the hot favourite for .NET developers. Hybrid App development frameworks are often the favourite of the developers with skills in programming languages other than the mobile ones since the skill level it demands is slightly lower. App developed using hybrid frameworks are usually simpler to maintain since they have a single code base that includes both the iOS platform and Android. Such applications may take a performance hit in some way or the other. In addition to which compromises need to be made on matters like support and availability of new features. That said there are two popular hybrid development frameworks around. The advantage of using Titanium is that it supports a lot many features of your device (applicable to both Android and iOS) and for those not supported, there are third party modules. To start with you will require the Eclipse based IDE and a development kit for the desired platform. For a .Net developer with good programming skills, the xamarin framework appears to the best option. On the other hand if you are the kind who requires a native application with features from the latest OS, then native development tools will have to be used. Don’t be lost if you do not fit into any of the categories mentioned above since you can always hire an iPhone Apps developer in India. In fact Hire iPhone Developer is an iPhone Apps Development company who have the skill and ability to create just about App you require. Having entered into this field early they possess a great deal of experience and talent to get the job done.